Xperia E dual on shelves! The Xperia E dual is a phone for users that are looking to get a bang out of their buck. Like all Xperia devices, this smartphone is running on Android ice cream sandwich (upgradeable to Jelly Bean) and supports two SIM cards. Perfect for people who needs to swap between SIM on the go! The Xperia E dual spots a 3.5″ HVGA (165PPI) display, weighing in at 115.7g with a thickness of 11mm. On board memory is 4GB and the phone supports additional 32GB worth of storage with microSD. The camera resolution is 3.2MP capable of capturing VGA videos. 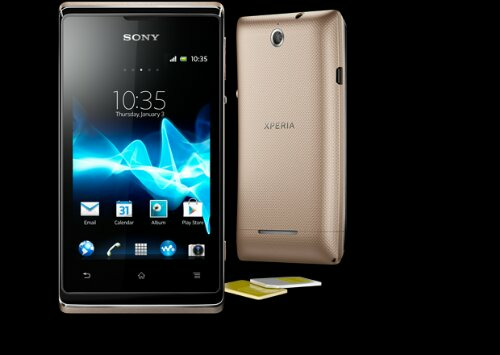 For music lovers, the Xperia E dual also comes with a WALKMAN player for soul shaking clarity. There is the standard WiFi, Bluetooth and 3G connectivity on board the phone. Powering all these is the Qualcomm MSM7227A 1GHz processor with 512MB of RAM. Fueling all these is a 1500mAh battery coupled with battery stamina mode. With HD voice, your voice will be transmitted with the highest quality to your loved ones. 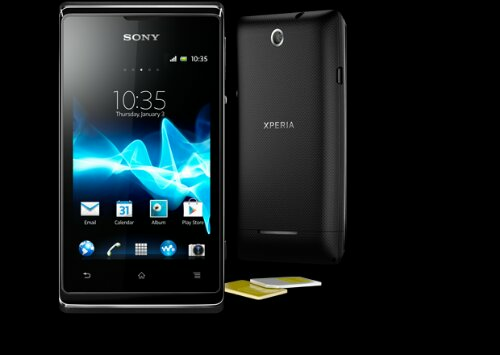 For users who don’t need such an expensive phone, the Xperia E dual can be one of your considerations. We’ll be updating on the RRP first thing in the morning! This entry was posted in Xperia Product Line and tagged 3.2mp, 3.5" HVGA display, battery stamina mode, dual sim, hd voice, sony, walkman, Xperia E dual by knowyourxperia. Bookmark the permalink.